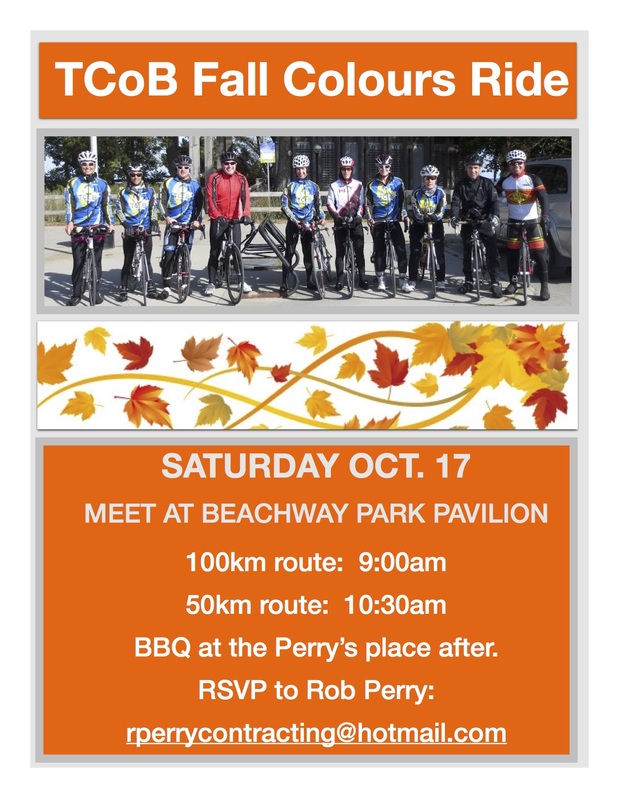 Come join us for this special Fall Colours Ride Saturday October 17th. 2 distances to pick from the 100 km leaves the Beachway Park Pavilion at 9 a.m. the 50 km leaves the Beachway Park Pavilion at 10:30 a.m. Followed by a social BBQ at the Perry’s house after.